Editor’s Note: We are pleased to present this guest post by Harvard Business School student, and our summer intern, Colin Fraser. In the wake of the FIFA corruption scandal, sports organizations and governing bodies around the world have rightfully come under much deeper scrutiny, especially with regards to conflicts of interest. CrossFit Inc. has been dissecting the inner workings of the International Confederation of Registers of Exercise Professionals (ICREPs). Russells’ Blog readers may remember the ICREPs as the association formerly headed up by Richard Beddie, who made the defamatory and completely unfounded accusation that CrossFit had “killed 6 people.” CrossFit Founder and CEO Greg Glassman recently updated us on this situation. Beddie later claimed that he was misquoted, and CrossFit Inc. has filed suit against him in New Zealand. 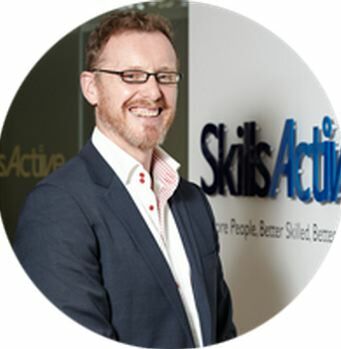 Now Beddie has been sidelined, and in a recent press release ICREPs announced that Stuart Turner of Skills Active UK (another aspiring register of exercise professionals) is taking over. The press release stated that Beddie would “continue…providing direct support to new members as they develop their national registers.” We can only hope that the “support” Beddie gives comes not in the form of teaching, not extortion and corruption. Stuart Turner: The Next Beddie? Unfortunately for the fitness world at large, it appears that the changing of the guard at ICREPs may have failed to produce meaningful change. More specifically, evidence suggests that ICREPS may not be ensuring that its member registers meet its own expressed standards. Training providers can, and should, be consulted about many elements of the register, but must not have any significant interest or control of its operations. So for example training providers may have an advisory function to the register, but must not own or direct the register in any way. Similarly it is essential that exercise facilities (employers) are consulted about many aspects of the register’s operations and the standards that it uses, but the register itself must not operate exercise facilities, nor be controlled by them. This may seem like a noble and just statement. It makes sense that an organization purporting to register qualified individuals should not favor one training provider over another or even one type of gym over another. A strong argument can be made that ICREPs’ members do not come even close to meeting this standard. Delving further into the documentation at ICREPs, one stumbles upon the “Guide to ICREPs Structure & Operations” – their go-to document for wannabe new National Registers. In this document we see what can only be described as the antithesis of independence from training providers and exercise facilities – huge carve-outs that basically allow conflicts of interest, leveraging of the National Register for personal gain, favoring providers that you have a personal or financial relationship with and even allowing the Register of Exercise Professionals to offer training itself! To take a case in point, let’s look at one of the board members of ICREPs, Nasar Al Tameemi. 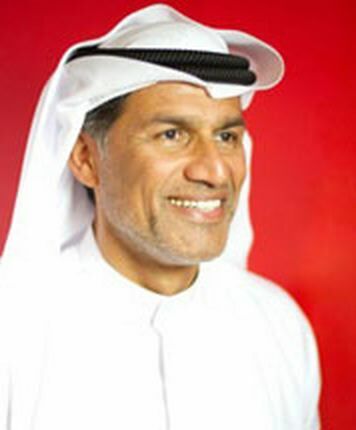 This man is the CEO of a Dubai-based firm, Infinity Sports Management, which brought the first commercial Health & Fitness centre to Abu Dhabi and was also the first to introduce Les Mills classes in the Middle East. Already it is clear where his interests lie, but yet ICREPs (alongside Dubai Sports Council) still “awarded” Infinity Sports Management the ability to create an independent national register of exercise professionals (REPs UAE). The story doesn’t stop there, and the ties between the for-profit Infinity Sports Management and the non-profit REPs UAE get more and more tangled. They share the same CEO and Director of Operations, and Infinity Sports Management’s training courses often feature in the REPs UAE newsletters with a discount for REPs UAE members. Coincidence? We think not. If you are not yet convinced of the conflicts of interests in ICREPs member organizations, maybe this final example will help. As mentioned previously, Stuart Turner is the new chairman of ICREPs. A quick director search in the UK brings up that he is also a director at the for-profit company, Skills Active Services Ltd, the commercial arm of the non-profit that runs the UK’s version of REPs. Perhaps this doesn’t sound so bad, but the commercial arm made $5 million in sales and returned only $50,000 to its parent company, according to their 2014 financial statements. That’s a handsome paycheck in salaries for their directors. And look at the companies for whom the board members work: ACSM, NSCA, ACE, etc. These are the same companies that USREPS is lobbying the government to mandate as the exclusive legal providers of fitness certifications. How is this independence? How can USREPS officials independently verify that ACSM and NSCA provide legitimate services while working for those same companies? If ICREPs has systematically failed to ensure the independence of its national members, and the members themselves often fail to check up on the individual trainers, what are we left with? Is it anything more than a defunct, useless, and corrupt system that allows Big Soda and licensure lobbyists to control and funnel membership fees from hard-working personal trainers and fitness professionals into the bank accounts of influential people in the industry? About the Author: Colin Fraser graduated from the University of Strathclyde, UK with a masters degree in engineering and is now halfway through his MBA studies at Harvard Business School. Colin had his first paid employment as a rugby coach in his native Scotland at the tender age of 15 and has been involved in sports, coaching and fitness ever since. He has competed in a variety of sports including soccer, rugby, field hockey and badminton as well as multiple endurance obstacle races and is now training for a 100-mile ultra marathon. His passion is in the use of sports and fitness coaching to offer underprivileged teenagers an alternative path in life and was granted a Winston Churchill Memorial Trust Fellowship to travel to Cuba and South Africa to study this further. He was introduced to CrossFit back in 2014 at Omnipotent CrossFit and is now studying the international implications of regulation on the fitness industry for CrossFit Inc.